Cavanagh, a signature collection of single-family homes and duplex lots, is coming soon to Southwest Edmonton. This Saturday, August 5th, developer Excel Homes is inviting prospective buyers to Cavanagh’s grand opening, where its state-of-the-art presentation centre will be unveiled. From noon to 5pm visitors can engage in a unique experience, as the presentation centre features over 1,500 square feet of interactive space. The site also includes a complete design selection studio. The presentation centre is located at 2704 Collins Crescent in Edmonton. 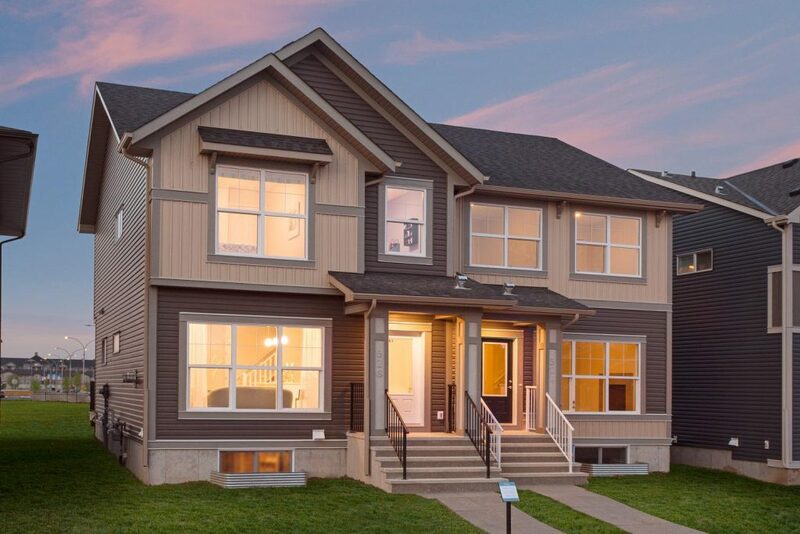 Conveniently connected to everything that Edmonton has to offer, Cavanagh has a total of 38 front-drive garage homes. Duplexes have layouts up to 1,582 square feet while landed homes are up to 1,594 square feet. Located in a scenic neighbourhood, homeowners will be surrounded by an abundance of green spaces, pathways and playgrounds. The Blackmud Creek Ravine is also nearby, where families can go for walks or play at the park. Residents can easily access urban conveniences, including restaurants, local and national retailers, entertainment outlets, recreational facilities and health services. For commuting, Cavanagh is around the corner from the QE II and Gateway Boulevard. When it’s time to travel, the Edmonton International Airport is a short 15-minute drive away. Join Excel Homes on Saturday, August 5th for Cavanagh’s grand opening where free food will be available, along with pre-sale promotions on the first 15 lots. Homes start from the high $300s. For more information visit the sales centre at 2704 Collins Crescent in Edmonton. Opening hours are Monday to Thursday from 2pm to 8pm and weekends from noon to 5pm. For more information call 780 760 7779 or visit excelhomes.ca.